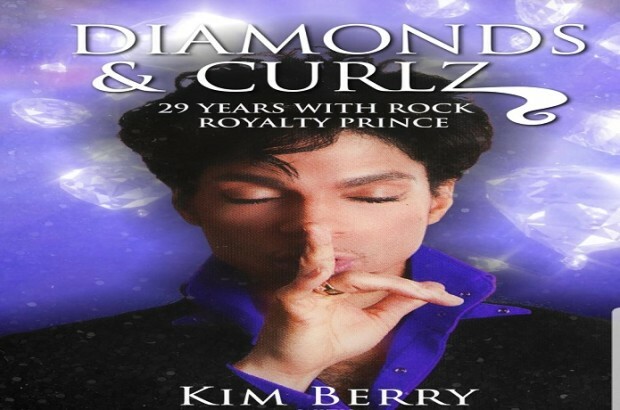 Kim Berry is Crowdfunding her proposed book.. So Kim doesn’t have a publisher for this book and is self financing/using crowdsource funding? I applaud her for going for what she wants. Crowdsourcing is very common, as is self-publishing, both in the music and literary arenas. Some musical artists are even crowdsourcing CDs/EPs. These days, if you are one of the "rarefied heirs" blessed enough to secure a record deal, other than touring revenue, it is increasingly difficult to make any substantial money selling music. Same thing with books: Very few authors make any money from publishing deals. Big names like Prince, the Obamas, etc. are the exceptions. That's why more and more authors are opting to self-publish (and crowdsourcing is a very popular way of financing a book). Prince encouraged artists to be independent, so I'm sure he would advise aspiring authors similarly. Most of what you said is true except the part where Prince's encouragement of artists would include encouraging people to write about HIS PERSONAL LIFE. I don't know why she needs to do this. She can upload the book for free on CreateSpace and sell it on Amazon. She would keep 70 percent of the profits if she did that and would come out pretty well if it sells. I would buy a copy but I wouldn't give to a funding page and hope it comes about sometime in the future. Your point would be valid if I had actually said what you're claiming I did. Since I did not, it's not. You are saying that Prince encouraged folks to release stuff independently. She is releasing a book about his life independently. I think if he were alive, he wouldn't promote any book like that independent or not. That's the ironic part of her following his business model but not his personal mantra of privacy. I get the impression that her book is about her life experiences while working for Prince for many, many years. Her experiences. I hope that will be her focus, without revealing personal details of his life. I am always interested in hearing stories that reveal his sense of humor, his humanity, and his sense of style. I will be extremely disappointed if Kim reveals intimate details. It's a fine line. Kim is going to show the good and bad. Get ready. She already kind of has. She already said she was going to talk about him less as a rock star and more as a father, son, husband and man. You can't do that if you don't get personal. A lot of it will probably go over her being over-worked and originally underpaid as well. If it is well-rounded and fair (and honest) than fine, I guess. But I don't think anyone should help her pay for that book when she could release that information for free. whats an example of an Intimate detail that crosses the line ? Good question. In my estimation, "crossing the line" would be discussing extremely private things like his bathroom habits, his potentially clandestine relationships, secrets that he might have confided. As I said above, I am always interested in hearing stories that reveal his sense of humor, his humanity, and his sense of style. I hope Kim opts to stick to things like this. I don't think we need to know if his hair was dyed or other personal things, like family relations. I'd just like to see some of his mystery and all of his dignity left intact. Have you watched the video at the bottom of Kims Indiegogo page ? No, I haven't watched it, but thanks to you, I will now. I'm also looking forward to her book. I think Prince trusted her. Otherwise, she would not have been his hairdresser for decades. I'm an aspiring author! This is very valuable information for me. Thanks. But we won't know if it's honest since Prince is no longer here to verify it. Same with all of these books now. That's true. But, in these instances, others who were around will probably know if there are embellishments. I have no problem with her or anyone putting out a book but I agree that I don’t understand why she is soliciting thousands of dollars from prince fans to do so. This isn’t like recording music where you might need studio time, specialized equipment etc; all she needs is a laptop computer and internet connection to get a self-published ebook out there. My opinion of Kim changed a bit when I saw she put items given to her by Prince up for auction. That just doesn’t sit well with me. Is she hard up for money? To be clear I think it’s fine for her to charge for an e-copy of the finished book (I don’t think she should have to give her book away); I’m just uneasy with the crowdsourcing for the book’s creation without clarity about what the money willbe used for or even when the finished book will be available. Her crowdsourcing packages included things like $3000 for a dinner with Kim (where the buyer is also responsible for all travel expenses for Kim to the buyers location). That’s just one of many packages. Why does she need that much money to write her book? Why would she be hard up for money? She worked for Kat Williams and supposedly has her own salon. * Private Dinner with Kim and 4 of your friends. In your city. * Private Meet and Greet/Questions and Answers with Kim and 10 of your friends. *Photos with Kim. DISCLAIMER: Donor is responsible for all expenses." I think it's fine for her to offer this for sale (generally, I'm ok with anyone selling something as long as it's very honest and clear what the buyer will get for their money). It's just not obvous to me how she'll use the revenue from this and her other packages specifically for writing, publishing and/or promoting her book. What I like the most about Kim is she self proclaims that she WAS NOT OR EVER A PRINCE FAN! I know that Prince liked and trusted those type of people more. Because they told him THE TRUTH about himself. Also any black man that let's a person do his hair, trust them and reveals MANY secrets to them. It's in their culture.